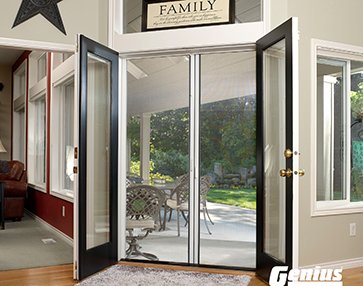 Genius Retractable Screens deliver products built to protect families. 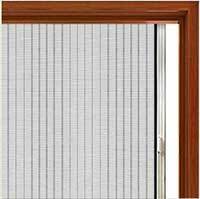 Genius Retractable Screens safeguard against insects and other pests, support fresh, natural ventilation and retract out-of-sight when not in use to enhance viewing pleasure. 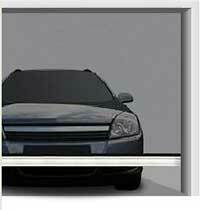 Screens that are thoughtfully designed and easy to install and operate. 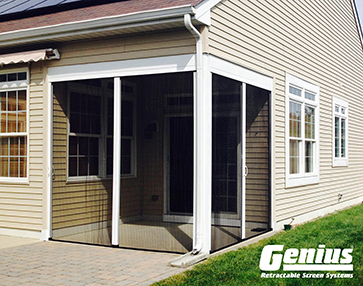 Made in the USA, Genius is the premier supplier of retractable screen technology to many of the world's best known window and door manufacturers, professional installers and homeowners. 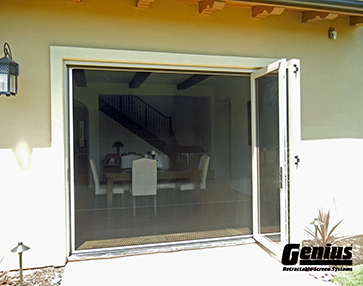 Solutions for doors, windows and other openings such as patios, verandas, porch and even garages are all available from Genius. 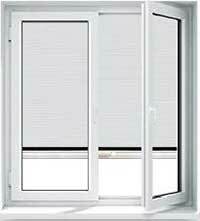 Call Casco for more information or to obtain a quotation on a retractable screen solution. 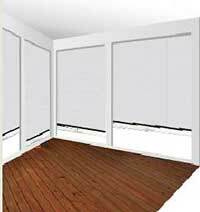 We suggest having basic dimensions handy so we can provide the best possible service. 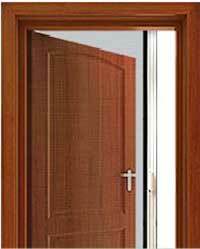 Min Size: 20" x 12"
Max Size: 76" x 90"
Min Size: 15" x 10"
Max Size: 72" x 92"
Min Size: 12" x 26"
Min Size: 12" x 22"
Min Size: 10" x 10"
Max Size (Largest Width Availability): 198" x 102"
Max Size (Largest Height Availability): 156" x 126"
Min Size: 26" x 10"
Max Size: 192" x 96"
Min Size: 30" x 24"
Max Size: 198" x 120"
Provides protection from bugs and other outside elements while enjoying top and bottom ventilation. 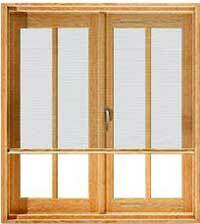 The dual sash panels are uniquely designed to optimize natural airflow and comfort. 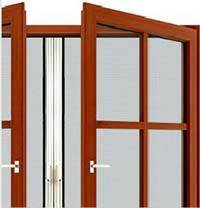 Easy to operate, the retractable panels simply disappear when closed. 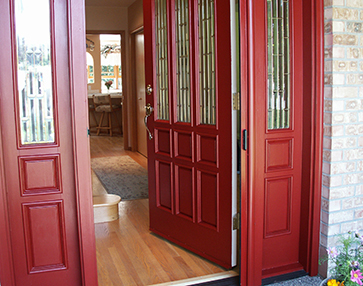 Easy-to-order and easy-to-install. 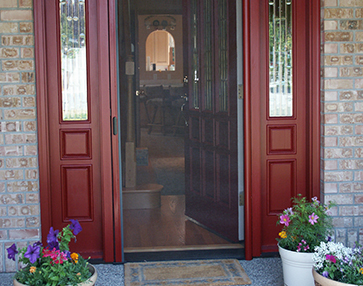 It's the perfect weekend DIY project. 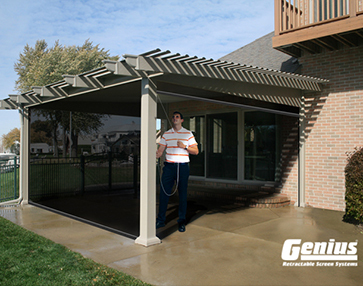 Increase property value with the addition of an Expanse™ porch. Visit Genius Retractable Screens on YouTube for more videos and information about them and their products.